Would've been fun to see the Bison and the Brady Bunch there at the same time. They could show off their mutually impressive sets of rings. Did this happen yet? Don't feel like reading the entire thread. Will Klieman be in attendance? 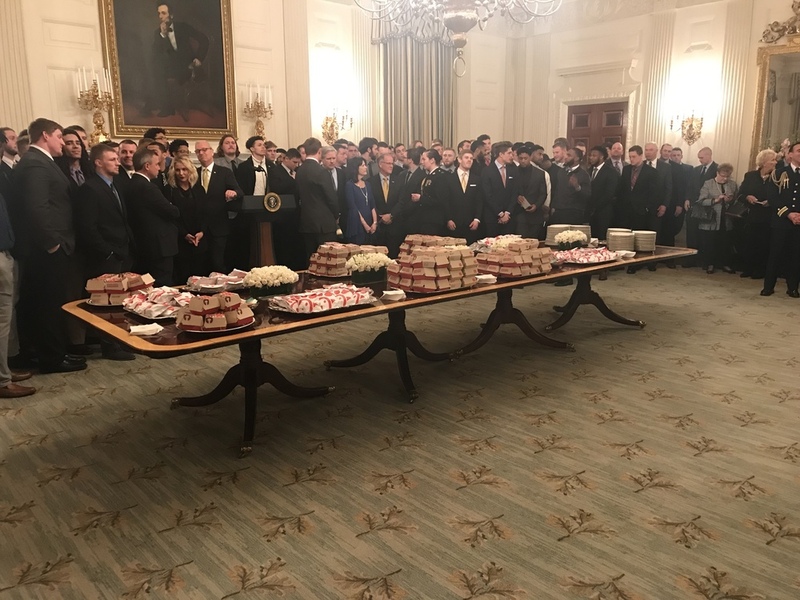 Didn't get a chance to catch the live video and apparently there was a delay in the when they actually met the President but the cliffnotes were that Trump pronounced Bison correctly, compared Easton Stick to Tom Brady, and fast food was served again. I'll post the video whenever it pops up. The spread in all it's glory.... (hopefully they had more in the back).